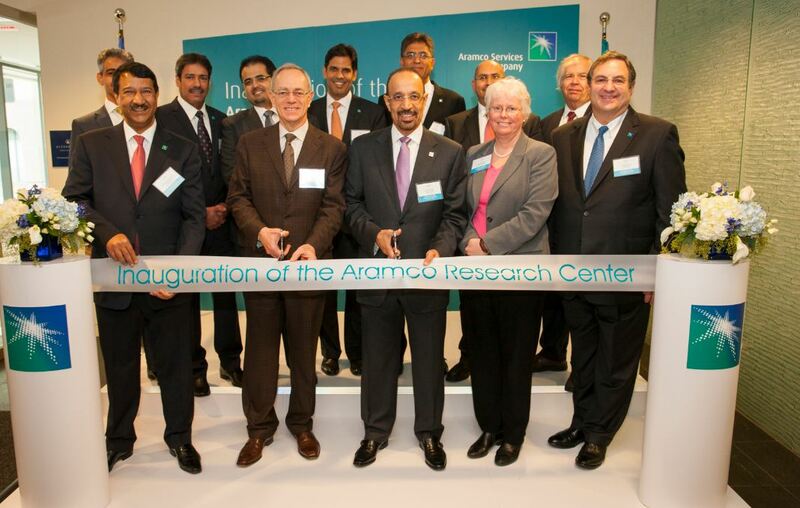 Saudi Aramco, a leading global energy and chemicals company, has opened a research and development (R&D) centre in the Detroit area of US as part of the company’s global fuels technology programme. The Aramco Research Centre-Detroit, located in Novi, Michigan, is owned and operated by US subsidiary Aramco Services Company, and further strengthens the company’s global fuels research programme with the goal of promoting the development and adoption of efficient, sustainable and affordable transport solutions for the future. Aramco’s fuels technology programme is focused on reducing the overall environmental impact, cost and complexity of both current and future fuel-engine systems. With a global refining presence, Aramco brings a unique perspective into how fuels can be designed and matched to engines for higher performance and lower emissions. A planned outcome of Aramco’s research is to generate vehicle and fleet demonstrations to showcase the benefits of novel fuel/engine systems. “Fuels technology is a critical area of research for Saudi Aramco where we are leveraging on our leading position in integrated oil and gas production and refining to invest in innovative solutions that will significantly improve efficiency and lower emissions from the (production) well-head to the (car) wheel,” said Amin H Nasser, president and CEO, Saudi Aramco, who led the inauguration of the centre on November 13. Specific areas of research being conducted at Aramco’s new Detroit centre include fuel combustion and emissions, technology integration and strategic transport studies. The research centre is tasked with developing, demonstrating and showcasing low-carbon-footprint transportation technologies, in support of reducing CO2 emissions from transport sources. The 50,000-sq-ft Detroit research centre is equipped with four state-of-the-art engine dynamometer labs, and in mid-2016, a vehicle integration lab featuring a chassis dynamometer for evaluating engine performance and identifying solutions to all types of system integration challenges. This includes ensuring that new technologies will meet vehicle performance and emissions specifications in a wide range of certification cycles under cold (20F) and hot (120F) conditions. Substantial flexibility has been built into the lab’s capabilities surrounding fuel design, fuel procurement and specialty fuel distribution, including providing 12 independent fuel lines to the labs—which allows back-to-back advanced fuel testing and blending. The facility’s research capacity encompasses very small engines such as a single-cylinder research engine to 1,000 horsepower heavy-duty on-road and stationary engines. “Aramco’s fuels research programme is about contributing our expertise to finding forward-thinking ideas and unlocking the potential to develop new transport solutions,” said Saudi Aramco chief technology officer Ahmad Al Khowaiter. Aramco’s global fuels research network encompasses Aramco’s Research & Development Centre in Dhahran, Saudi Arabia; a partnership with the Clean Combustion Research Centre at the King Abdullah University of Science and Technology in Thuwal, Saudi Arabia; and the Aramco Fuel Research Centre, Paris, with the French petroleum research institute IFPEN. US subsidiary Aramco Services Company’s other research centres are: the Aramco Research Centre-Boston, in Cambridge across the street from MIT; and the Aramco Research Centre-Houston, in the city’s northwest area Energy Corridor. Aramco’s other research facilities are located in Aberdeen; Delft, The Netherlands; Daejeon, Korea; Paris; and Beijing; as well as Dhahran and Thuwal, Saudi Arabia. The research centres are closely aligned with the company’s award-winning research organizations: the Exploration and Petroleum Engineering Centre’s Advanced Research Centre and the Research & Development Centre located in Dhahran, Saudi Arabia.